Jessie Pearl Parker Everett was the first of four children of Albertha and Will Parker, born on February 17, 1930 in Panama City, Florida. Jessie went to school in Panama City. After school she married John Wesley Everett. Together with the family, they moved to San Diego, California in 1962 where they started their life together. She worked as a housewife for many years and then as a cook for the San Diego School District for several years before retiring. She was involved in the MLK Choir, as well as the Bethel Baptist Senior Church Choir. Jessie also served on the Senior Usher Board and other ministries. She received (list any honors, awards, or achievements). Fondest Memories – Everyone knows that Jessie’s special skills in the kitchen were unmatched. Perfect strangers and family alike would claim to come by to see her, but we all knew it was for the food. Her specialties that had all family members losing respect for each other and fighting over her biscuits, if they didn’t get any. Her Red Velvet Cake would melt in your mouth. 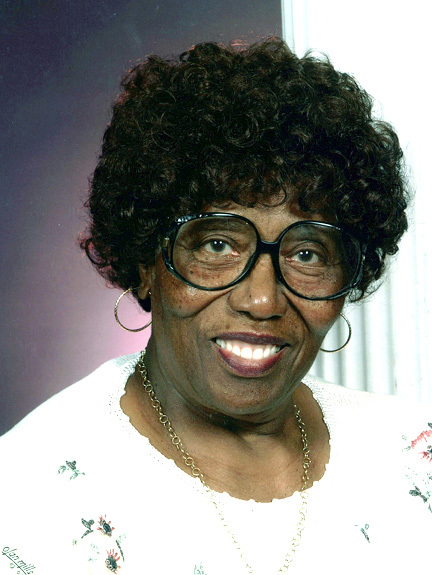 Momma Everett was a ‘Take Charge Lady’. She would Love You, but also Teach You at the same time. There are quite a few of us that can testify to that. She also had her own special language and she would let you know that she could still, “Whoop Your Crack”, especially if you stayed at JP’s “Summer Camp”. Jessie Pearl, “JP”, was preceded in death by; husband John Wesley, June 9, 1986; daughter Connie Renee Everett Forbes, July 14, 2008; son Robert “Bobbie” Everett, November 27, 2013; and brothers Willie and Leroy Parker. Jessie Pearl is survived by children: Ray W. Everett, John Gary Everett, Karen M. Everett Johnson (Randy Johnson), and Inger C. Everett Edelen (George Edelen, Jr.); sister Lois Roberts; son-in-law, Simon W. Forbes, Jr.); grandchildren Tinir Everett, Jon Everett, Ray Everett, Jr., Ashley Everett, Katisha Everett, Nicole Everett, Lashaan Everett, Brittany Everett, Kalia Everett, John Anthony Everett, Actavia Johnson, Randall Johnson, George Edelen, III, and Oliver Edelen; great-grandchildren Jon Everett, Jr., Ayden Everett, Allen Bell, Ronnie Bell, Charlie Harrington, Kyla Rose McKinney, Noelle Harrington, Jalen Isaiah Brown, Taya Winters, Trenity Jones; and her great-great-grandchild Nyeema Bell. She also leaves a host of nieces, nephews, cousins, and friends to cherish her memory.